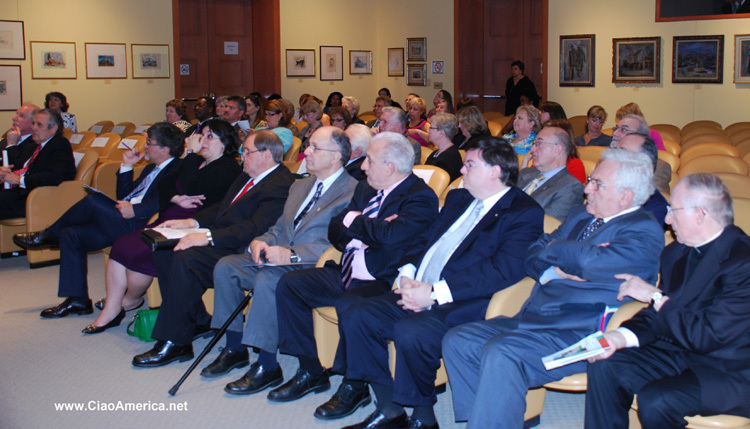 March 14, 2012 ~ At a ceremony held at the Italian Embassy in Washington, yesterday on March 20, Maryland State educational institutions signed three Memoranda of Understanding with Italian Regions Lombardia and Veneto and Italian Embassy and Italian Consulate in Philadelphia, to promote among other objectives, the teaching of Italian in Maryland public schools and cultural exchanges. In his opening remarks, Italian Ambassador Claudio Bisogniero said that "the cooperation between Italy and the State of Maryand in this area has never been this stronger." 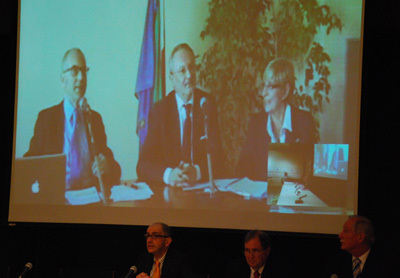 The signing of the memorandum was an "historic event" at the Italian Embassy, because as Minister Maggipinto told us, to his knowledge this was the first time that a MOU was signed simultaneously using Skype video-calling to connect with the Italian signatories located in Milan and Padova who were respectively representing the Italian regions of Lombardy (Lombardia) and Veneto. 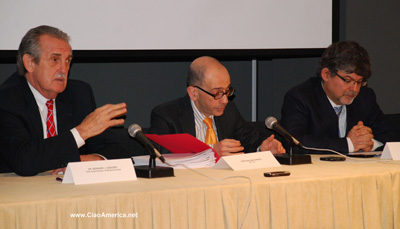 The first memorandum was actually a renewal of a Memorandum of Agreement between the Maryland State Department of Education and the Embassy of Italy which was originally signed in 2005. The second and third memoranda were signed between the regions of Lombardy and Veneto with Ann Aroundel County Public Schools. The parties to these memorandum committ to teaching Italian language through arts, among other objectives. An addendum to the memoranda was signed by Danile Stabile, president of national COPILAS, Ron Cappelletti, president of the Italian Cultural Society and Monica la Penta, president of the Italian Cultural Center di Baltimore. The Bates Middle School Choir of Annapolis, Ann Aroundel County, peformed several selections including the Italian and American National Anthems.